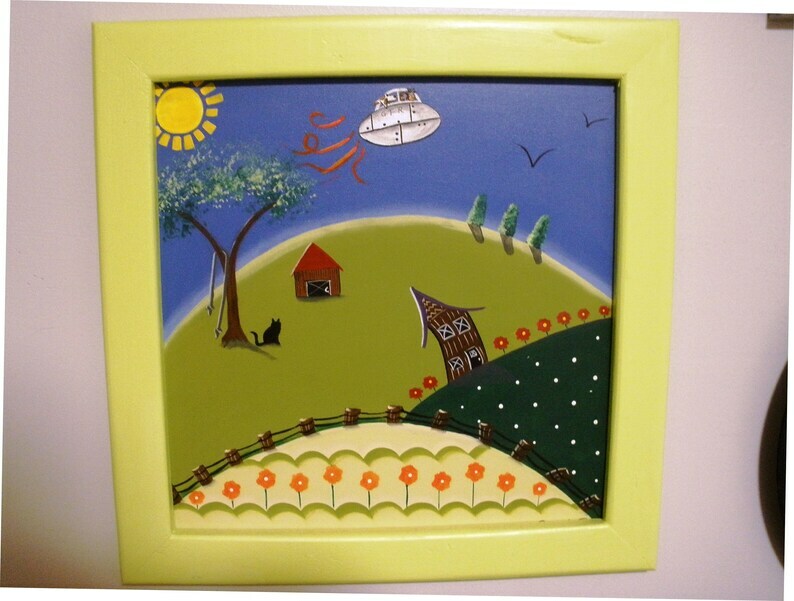 Painted on a 12" X 12" X 1/4" hardboard, this painting is sure to liven up any room. Painting is varnished for protection. Framed with hand made wooden frame: Finished size 14" X 14" X 1"
This was the original painting for the book "The Amazing Adventures of Grandpa Ramsbottom - The Flying Machine" by Ron Crouch. This original picture was featured on his first published book in 2010.